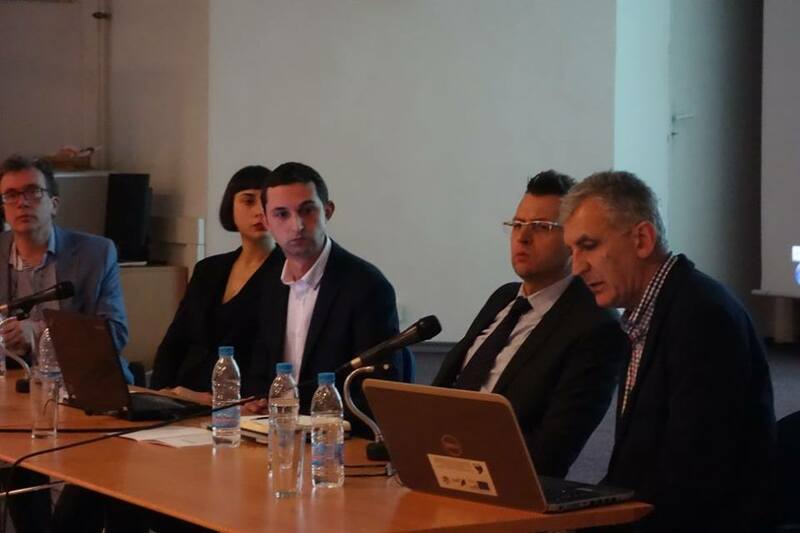 The event in Sofia was held on 08.03.2016 and was supported by the Municipality Foundation “Plovdiv 2019″ and kindly hosted by the Goethe Institute Sofia. Among the audience were journalists, cultural operators active citizens, directors of cultural institutes and organizations. 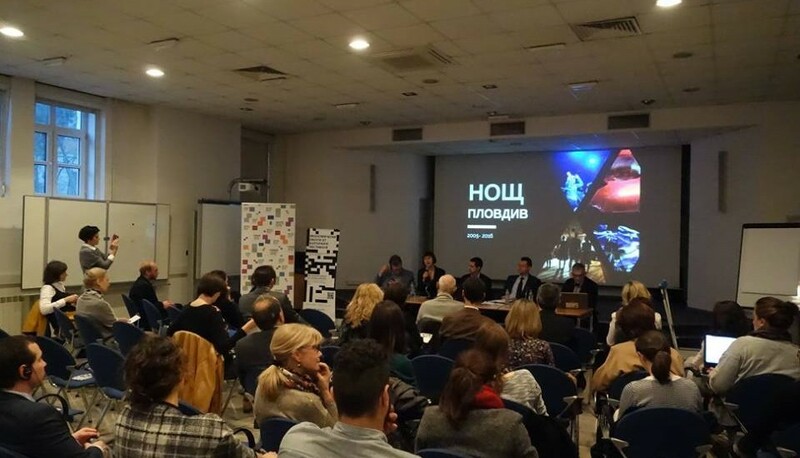 During the event, Bauersachs Foundation presented the methodology for measuring economic impact of cultural event, as well as the first survey of the economic effects of Night/Plovdiv 2015 festival. The total economic effect includes both market and non-market effects and is between 1 and 1.4 million BGN. The purpose of this effort is to create an applied methodology and build capacity of consultants and a broad coalition of partners for the on-going survey of the economic effects of non-commercial services. The current survey develops a methodology measuring the return of investments made. Who is this methodology relevant to? The methodology is relevant to a wide array of users, including cultural operators, grant receivers, private and public donors, media and active citizens. The results of the survey of economic effects are useful to art managers in analysing and evaluating past events and planning future ones. The data is also relevant to private and public sector partners and sponsors who support or are willing to support art events or projects. The methodology thus developed and the instruments it comprises are applicable not only to cultural festivals and projects but also to a broader spectrum of events that have no direct economic consequences. The methodology was tested on the general economic effects of the Night/Plovdiv festival 2015. We conducted 958 field interviews with 40 volunteers. Three complementary methods for the evaluation of economic benefits and effects were used. Night/Plovdiv 2015 festival was attended by 31 000 persons. The total number of Night/Plovdiv 2015 attendances is around 42 000. Plovdiv residents form the majority of visitors with 79% or 24 500 persons. Of all age-groups, the most visitors were in the 18-25 age group, accounting for 32.4% of all visitors. Nearly 80% of Night/Plovdiv 2015 visitors visited the festival two or more times in recent years. On average festival visitors spent 30 BGN. The total profit was 783 000 BGN. All expenses for the organisation of Night/Plovdiv 2015, including those made by partners and participants, amount to around 195 000 BGN. The cost-benefit analysis shows each lev (BGN) invested in Night/Plovdiv 2015 the profit was 4 BGN. Total travel expenses amount to 86 000 BGN, 51% of them being a result of visitors from the Sofia region. Based on the optimistic scenario, constructed through the measurement of preferences declared by Night/Plovdiv visitors, “willingness to pay” was calculated at 589 000 BGN.